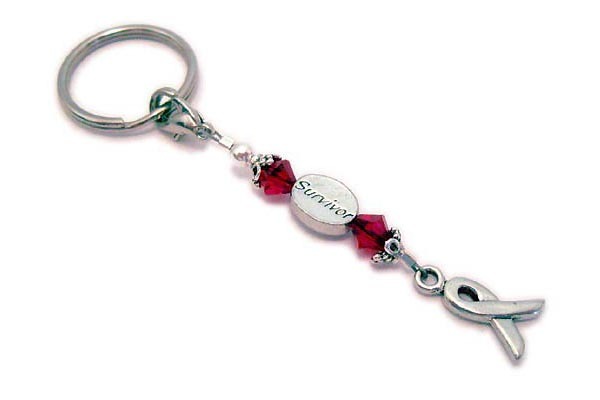 This Survivor Bead Key Chain is shown with a SURVIVOR bead, a ribbon charm and Swarovski crystals with the cancer or awareness color of your choice. Red is shown for Heart Disease Awareness. I have several message beads to choose from; Survivor is shown. I also carry HOPE, COURAGE and IN MEMORY message beads.